Innovative department store marketing executive, Thomas Belk was executive vice president of Belk Stores, working with his brother John to build the family department store chain into one of the largest in the U.S.. Junior Achievement Born on February 25, 1925, Tom was the sixth and last child born to retail pioneer William Henry Belk and Mary Irwin Belk. He attended Davidson College but left to serve in the U.S. Navy from 1943-1946 in the Pacific arena. 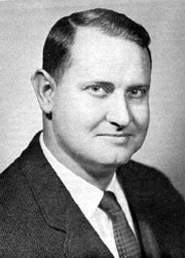 He returned to the University of North Carolina, graduating with a major in marketing in 1948. After college, Tom went to work for his father, selling bolts of fabric and learning the retail business. As the second generation of Belks took over store management in the 1952, times were good in the booming 50's. But the retail landscape would undergo vast changes during the next 30 years. Tom and brother John began a major remake of Belk's from a discount merchandiser to more upscale department stores. Often using an unorthodox approach, Tom brought Belk's to the attention of national fashion leaders. The redesigned Belk's stores continued to prosper and promote their quality to a steadily more affluent Carolina population. But Tom wasn't just helping to reshape the retail business in the Carolinas. 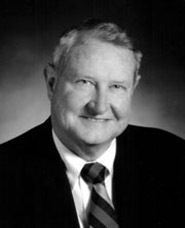 With his active roles in numerous groups, Tom played a pivotal role in numerous business, civic and charitable boards. In addition to his business successes, Tom made a major commitment to education. He helped to establish the University of North Carolina at Charlotte, and remained a major supporter and benefactor, while still supporting his alma maters. Throughout his life, Tom Belk displayed his dedication to the Carolina community. As the Charlotte Observer wrote: "Tom Belk, a straightforward, self-effacing man, never seemed interested in credit for the good works he tirelessly performed. He wanted to get the job done." He served on numerous boards, including NC National Bank, as well as actively helping colleges and non-profit groups around the state. The institutions included: St. Andrew's Presbyterian College, Davidson College, Charlotte Community College, YMCA, Salvation Army and the North Carolina Development Corporation. He married Katherine Whitner McKay on May 19, 1953. They had four children: Katherine, Tim, McKay and John.